Zadar receives a fraction of tourists that come to the Dalmatian coastline cities of Croatia like Split or Dubrovnik. 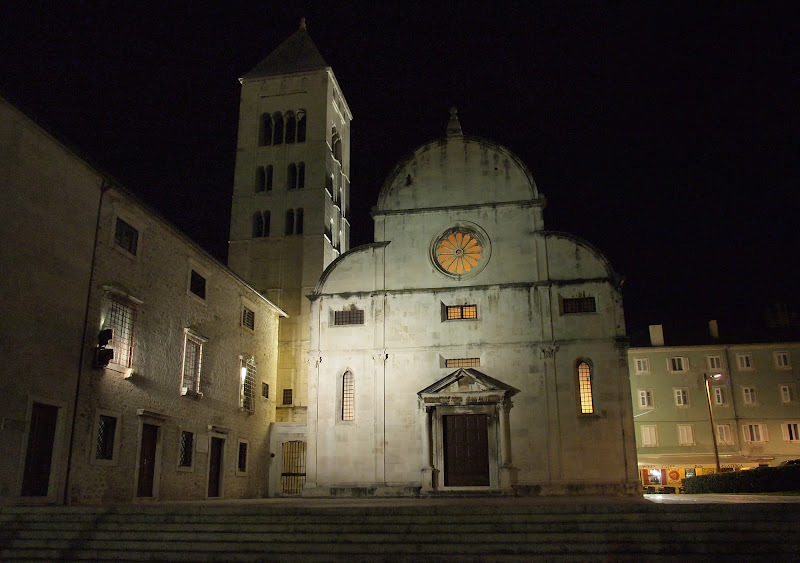 Maybe it’s because Zadar’s old town isn’t as pretty and intact as the others. It has no castles, no remaining city wall to walk on. 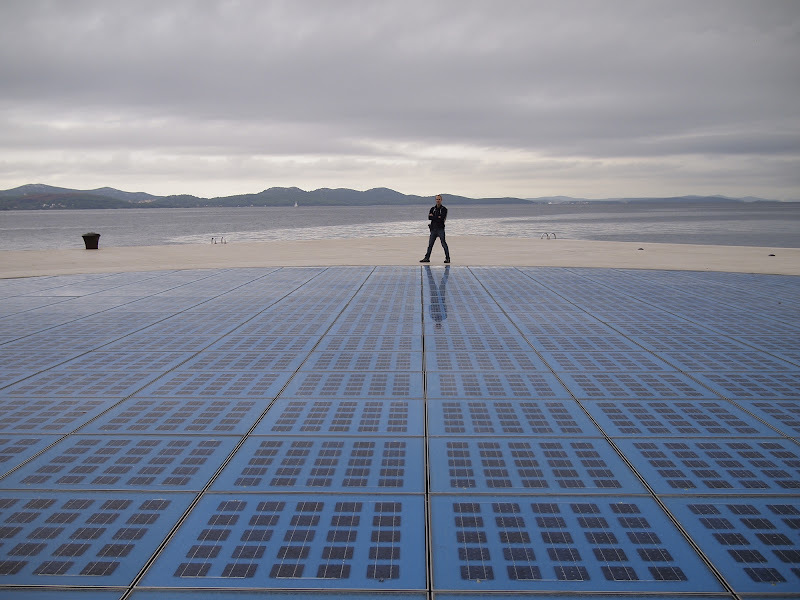 But despite all of that, or maybe because of all of that we found Zadar to be a nice hub during our stay in Croatia. It felt nice not to be a part of the hordes of tourists that descend upon Croatia’s more popular cities, but Zadar is big enough to have plenty of things to do. Zadar has its own version of charms. It hasn’t been completely overrun by souvenir stores selling identical knick-knacks. Go a few blocks beyond the main street and I found tell tale signs of a ‘lived-in’ city: a city with offices, stationery stores, bookstores, and government buildings. The waterfront of Zadar is absolutely lovely. It has a wide promenade free of distraction other than the view of sweeping Adriatic Ocean. In the summer, locals and tourists alike jump off the pier to swim in the water. Even in late October, the water’s temperature was acceptable for a brief dip. Walk along the water in the morning and you’ll see fishing boats off-loading their catch. Every afternoon, weather permits, we inevitably found ourselves sitting by the Sea Organ. Listening to the hums of the organ and letting our legs swing free from the wall into the water. Nearby the sea organ is the Greeting to the Sun art installation. 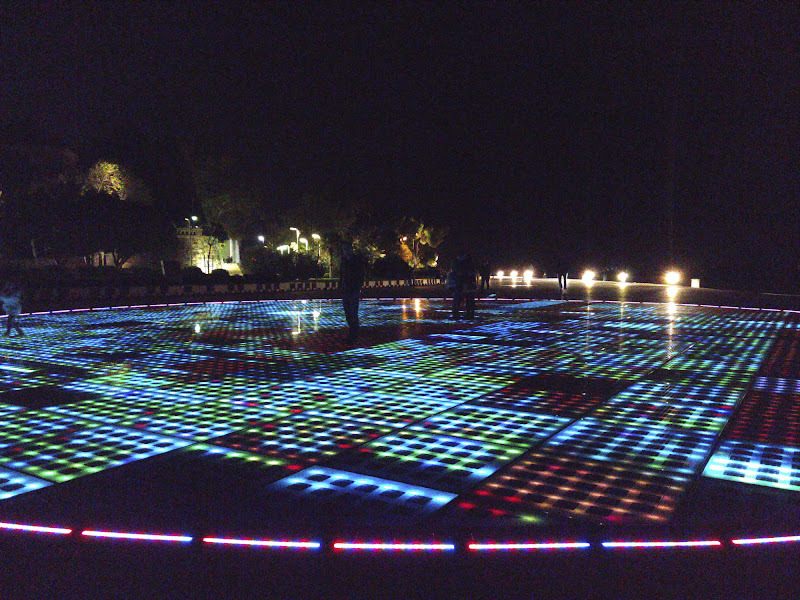 It consists of 300 multi-layered glass plates and solar cells that, come nightfall, lights up like a dance floor and provides a breathtaking visual accompaniment to the Sea Organ. My favorite thing about visiting an ocean-side town? No, not the beach. I’m not much of a beach person. It’s the seafood! Fresh fish, simply grilled with a touch of salt, accompanied by cold beer, is my idea of a perfect meal. Our absolute favorite restaurant in Zadar is the Konoba Bonaca. The fish soup, the arrabiata pasta, fried sardines, and grilled squid were great. The charming and friendly waiter/owner was the highlight though. Catch him in a good mood and you’ll never know what surprise he’ll give you at the end of your visit. Zadar has been occupied since pre-historic time. The current urban layout came during the period of Roman occupation and their legacy can still be seen in the The Roman Forum and all around town. Cheese from the island of Pag. Apparently famous. I’ve tried some, but I prefer the local goat cheese. You can find various local cheeses in the market. 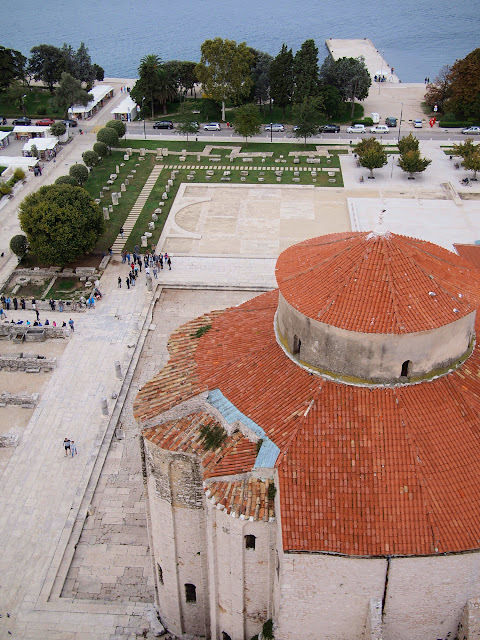 We climbed up the bell tower of St. Donatus church and were rewarded by a bird’s eye view of the whole town. St. Mary’s church at night. There are other churches scattered around in the Old Town – 8 in total if I remember correctly. Our favorite reason for making Zadar our base? It provides a convenient base to visit 4 National Parks of Croatia: Kornati and Krka in the South, Paklenica and Plitvice in the North. Plitvice is one of Croatia’s most famous national parks with its many turquoise lakes and waterfalls – it’s a 2-3 hour bus ride away. Krka is a smaller, less known sibling of Plitvice and is much closer. Many agencies in Zadar can help organize a day trip to these two parks although the latter is quite easy to visit independently using public transportation. 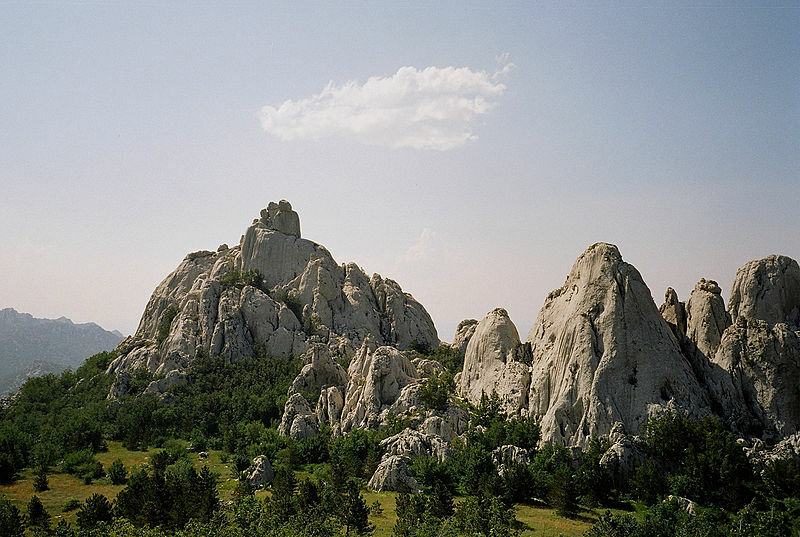 Paklenica‘s impressive karst river canyon with its hundreds of climbing routes is only an hour travel away from Zadar. While Kornati is a collection of 89 islands, islets, and reefs off Zadar’s coastline – a perfect destination for a sailing day trip that often includes a swim/lunch stop in a secluded cove. So if you’re visiting Croatia, I highly recommend not skipping Zadar. It’s not the sexiest, nor the coolest. 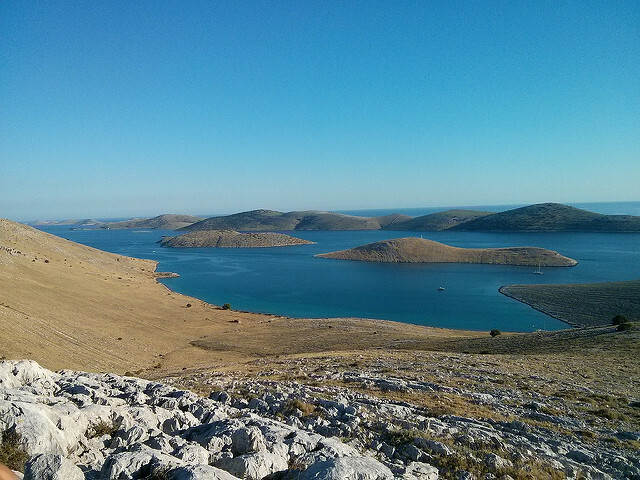 But you get the best of the Dalmatian Coast has to offer, and more, without the crowd. There are plenty of aparthotels or hotels at any budget in Zadar (see here for a list). Villa Vanilla is highly rated and is less than $50 a night. Yet another reason to love the city. And Croatia :). Have you been to Croatia? What do you think? I thought it was way too crowded in some parts, and I guess that’s why I ended up really liking quieter Zadar. 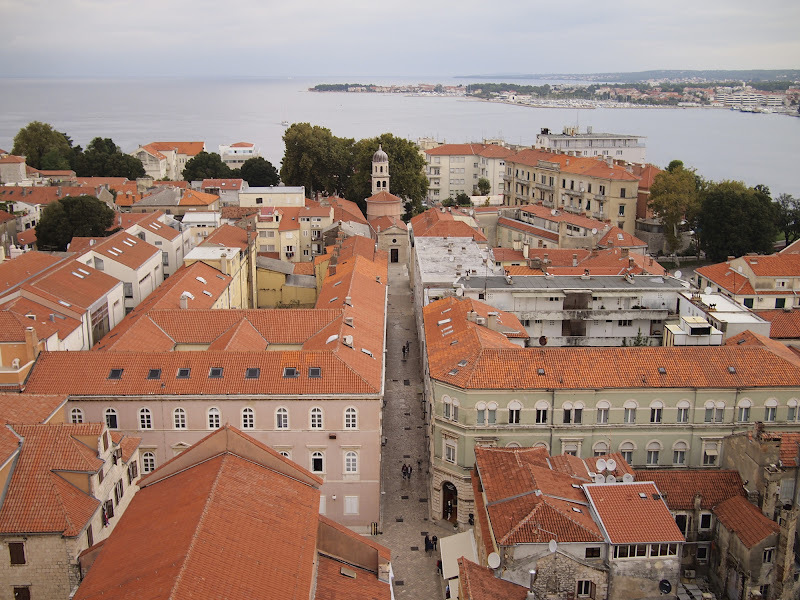 We spent about ten days in Croatia last summer, including Zadar in our stay. We also loved the waterfront and sitting at the water’s edge listening to the Sea Organ. Plitvice was one of the highlights of our time in Croatia. It is not to be missed if you can work it into your trip.